If you’ve already taken our Intro to DSLR Class, you’ve already covered the basics of operating your camera (changing your aperture, iso, and shutter speed.) But now you want to dig a little deeper and get the very most out of your DSLR or mirrorless camera! 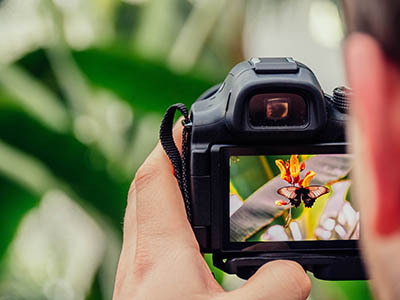 Our second class in the intro to DSLR Photography series delves into some of the more advanced features of your camera that will help you take amazing photos in even the most demanding situations. In this small classroom setting of no more than 6 students, our working professional Perfect Image instructors will help you master the advanced features of your DSLR. Whether you shoot with a Nikon, Canon, Sony, or any other brand of DSLR or mirroless camera, our Intro to DSLR II class will give you a deeper understanding of your camera and how to take full creative control over it!